Road Condition: Long, bumpy dirt road. 2 WD accessible. Parking: Average sized lot that was almost empty. May be full during peak season. Campsite Availability: Possible campsites along the shore of Fairy Lake as well as the Fairy Lake Campground near the trailhead. Several spots to camp along road. Nothing along trail. Water Sources: Snow. There might be an intermittent stream flowing earlier in the season. Snow: Drainage leading to Sacajawea Pass still had much snow. Winter Access: Snowmobiles pack down the road in the winter making it accessible on foot. Can be biked in Spring/early Summer before gates open. Weather: Sunny. 70's. Top of Sacajawea was VERY windy. Side Quests: Naya Nuki Peak. Pomp Peak. Hardscrabble Peak. Fairy Lake loop. Sacajawea Peak (or just “Sac”), towering at 9650 ft., is the tallest peak in the Bridger Range and provides some of the most easily-accessible, high-elevation views in the area. It’s a classic hike for locals and surprisingly the easiest peak to bag in the Bridgers making it perfect for beginner alpine adventurers. 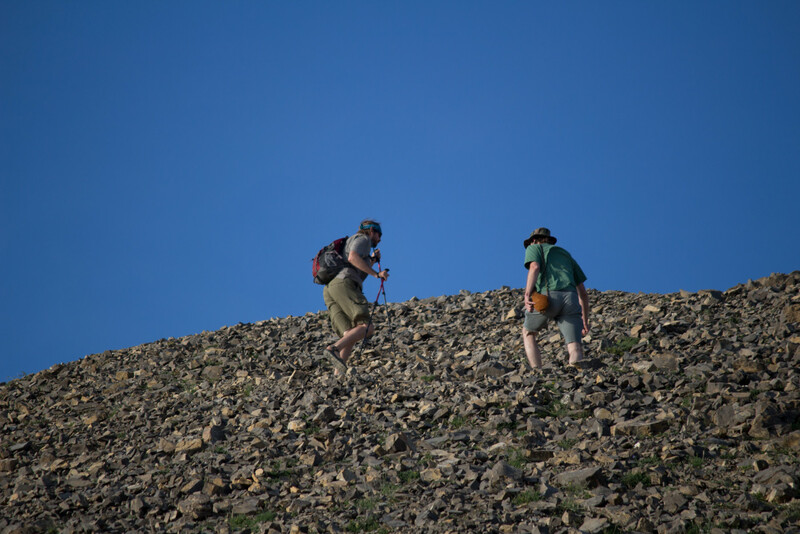 The trail climbs steadily from the Fairy Lake area up to Sacajawea Pass and continues south culminating with a simple scramble up to the rocky summit. 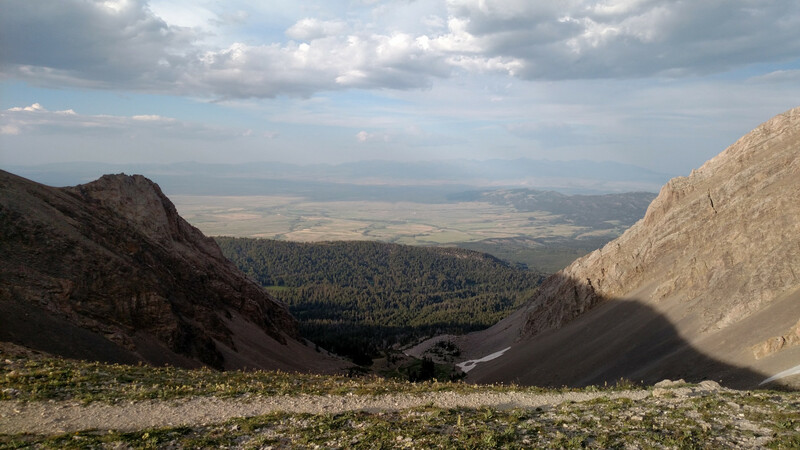 Many nearby mountain ranges are visible from the summit and the view of the Bridgers to the south is exceptional. 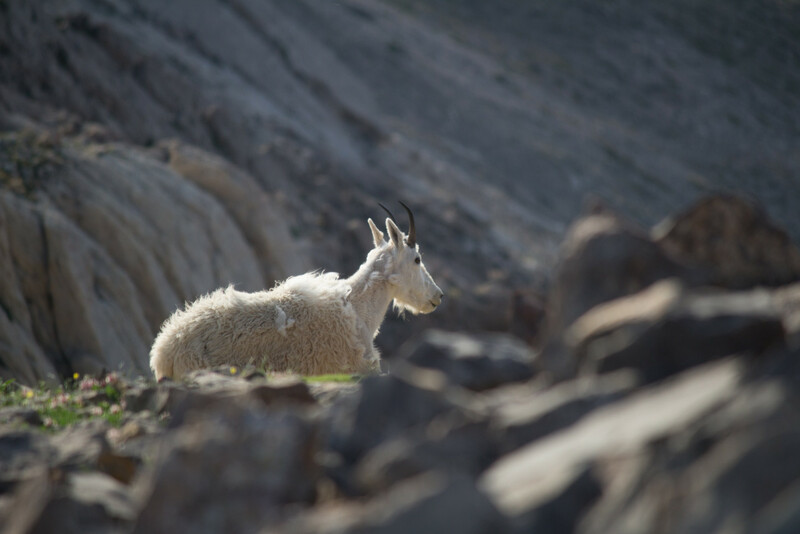 Mountain goats just love the rocks around Sac so there’s a good chance you’ll get a glimpse of one. For those seeking a little more adventure the nearby Naya Nuki peak can be accessed via a spur trail that splits off just before the final scramble up Sac. 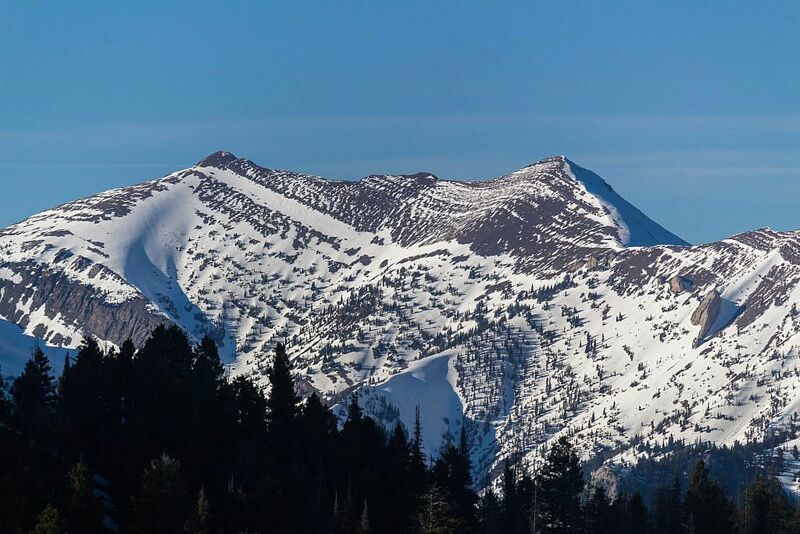 Hardscrabble can also be accessed by heading north, rather than south, at Sacajawea Pass. 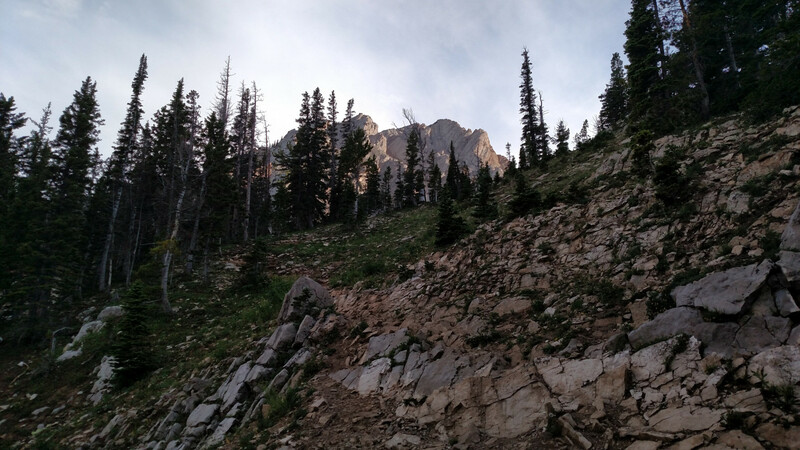 For many months I’d been trying to reach Sacajawea Peak. Two miserable attempts via Corbly Gulch over the winter were discouraging and we agreed not to return until absolutely certain it was doable. Finally that time had come. 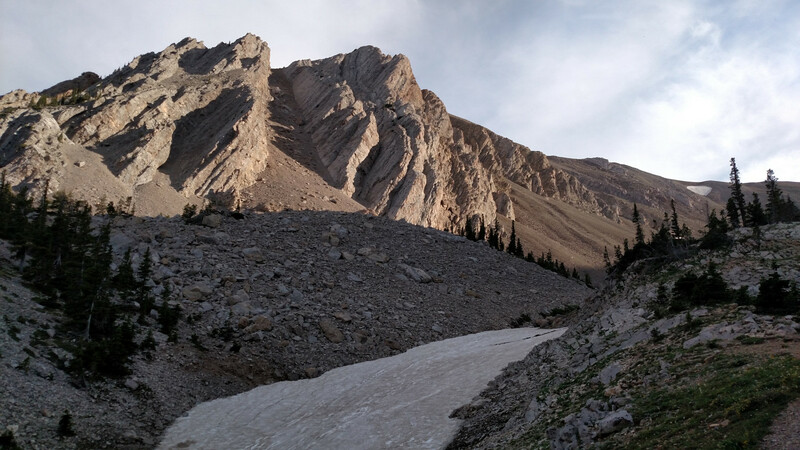 It was July, the snow was gone, and the Fairy Lake road was open after a seemingly endless wait. 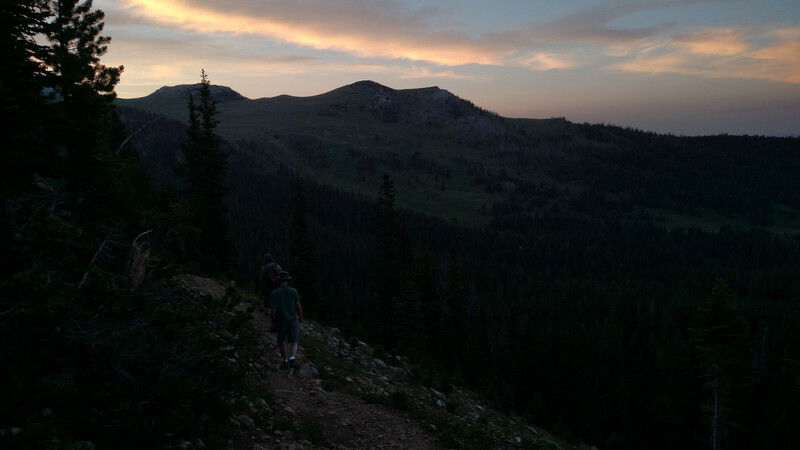 I proposed to my fellow comrades that we attempt it as a weeknight hike and we agreed to dip out of the lab a little early in order to allow enough time to complete the adventure. 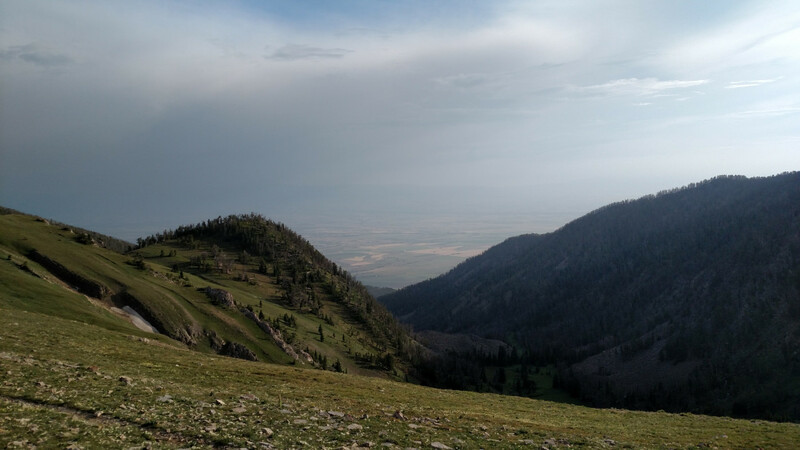 Sacajawea Peak can be accessed from several angles, including Corbly Gulch from the west, North Cottonwood from the north, or even the Bridger Foothills Trail from the south, but the most popular is from the east via the Fairy Lake trailhead. 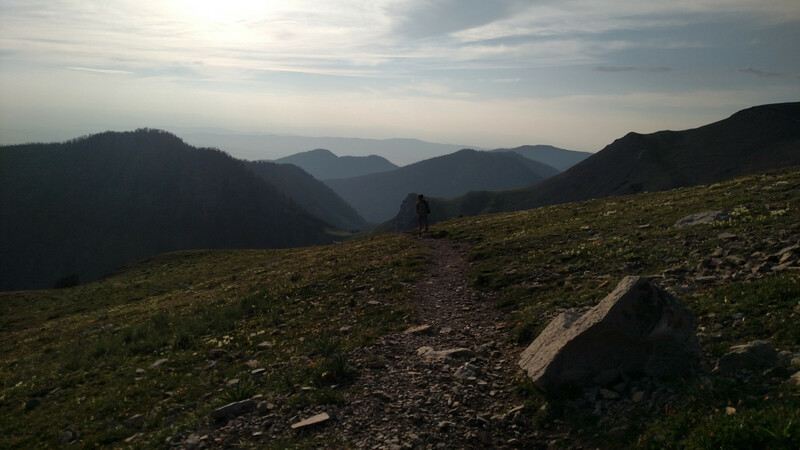 The trail follows a drainage for about 1.8 miles up to Sacajawea Pass, heads south towards the peak, and after a short scramble you’re there. 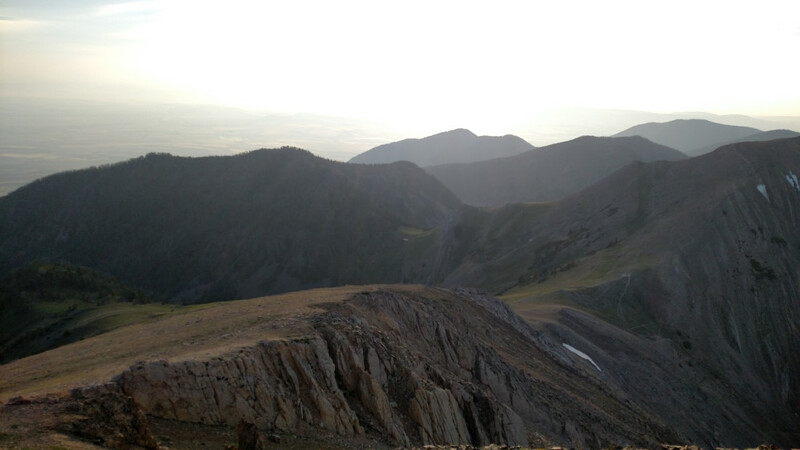 Sacajawea Peak (left) and Naya Nuki Peak (right) from the south. 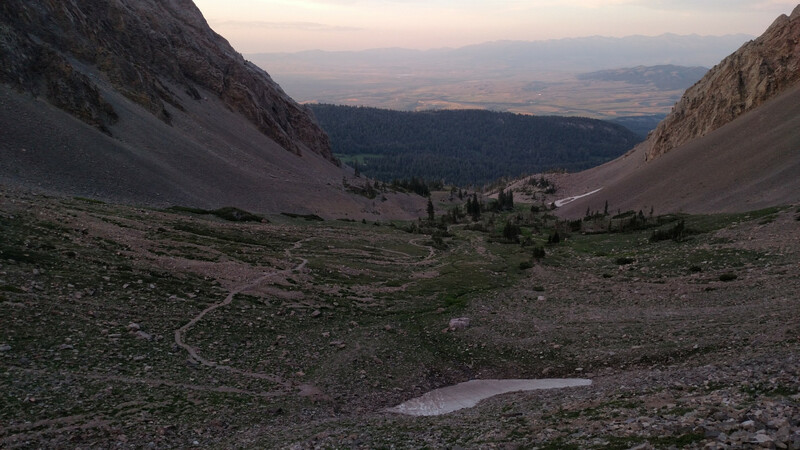 At the far end of Bridger Canyon is the notoriously bad dirt road that leads to the trailhead by Fairy Lake. It’s long and bumpy but not as bad as some of the Montana backroads I’ve been and is 2WD accessible assuming you have descent clearance. About a mile in there’s a parking lot and the Fairy Lake road splits off to the right which is open from 6/1-12/1. It’s a popular snowmobile route during the winter and can be biked in late spring. Two miles ahead there’s another parking lot and a gate which is open from 6/16-12/1. Continue along the road for another three miles to the final parking lot. Along the way you’ll pass the Shafthouse Trail, which leads to north, as well as Elf Lake. Frazier Lake also lies to the north and can be accessed via a spur trail. There are many other recreational opportunities at the Fairy Lake area. There’s a campground, picnic area, and a trail that loops around the lake. The trailhead for Sacajawea is right near the parking lot and can’t be missed. Hardscrabble Peak can also be accessed from this trailhead although there’re no signs for it anywhere. There’s plenty of space in the lot but as one of the most popular hikes in the area you can expect it to be busy. Since we chose to go on an evening it wasn’t bad; most people were returning and for the most part the trail was deserted. 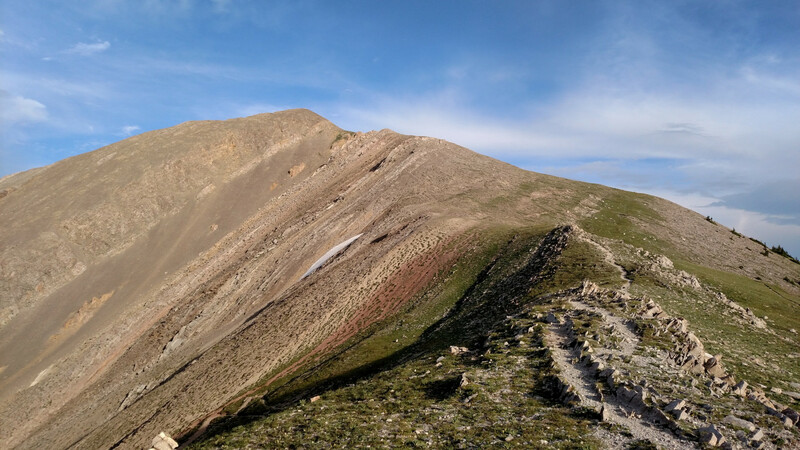 The trail starts out winding through a flat, forested area followed by a bit of climbing and then emerges within a cirque near the base of Sacajawea. Views of the surrounding peaks open up as you walk through this glacial wasteland towards Sacajawea Pass less than a mile ahead. A series of criss-crossing switchbacks lead up to the pass which allow you to tweak the climb to your liking. The pass is beautiful with spectacular views of the area. 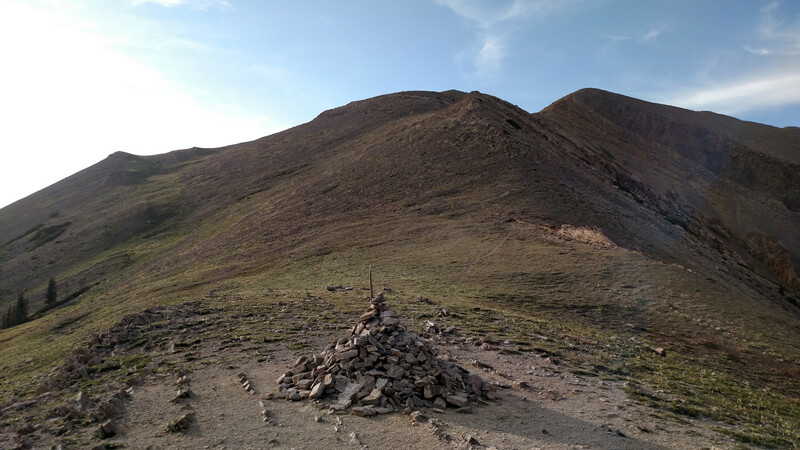 A large cairn marks the point where three trail intersect. To the west is the Corbly Gulch Trail, to the north an unofficial trail leads to Pomp Peak and Hardscrabble Peak, and to the south is the trail leading to Sac. 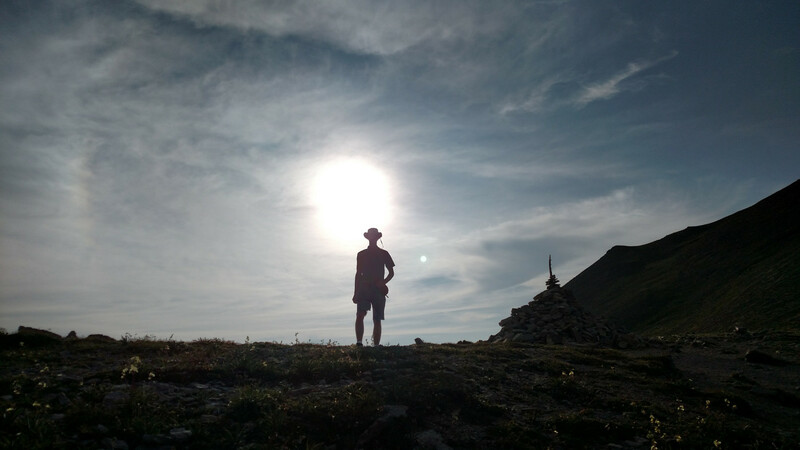 Silhouette of Christian at the top of Sacajawea Pass. A trail leads north to Pomp Peak and Hardscrabble. After a quick breather at the pass we headed south along the trail towards the peak. Just a short distance beyond the saddle the Bridger Foothills trail splits off leading along the side of the ridge and continuing all the way to the M. Just after the split the scramble up Sac begins. 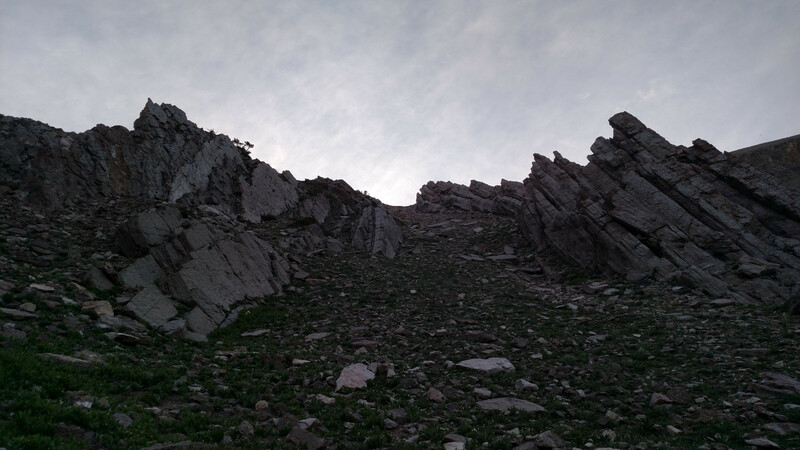 It’s a fun little scramble and there’re plenty of switchbacks to ease the pain. Part of the way up another trail splits off leading to Naya Nuki Peak, essentially a mirror image of Sac just to the southeast. Don’t let your eyes deceive you; it looks like a quick little jaunt over to the peak but is actually about 0.5 miles. I really wanted to make it over there so I could check both peaks off the list but there just wasn’t enough time to do it all in an evening hike. 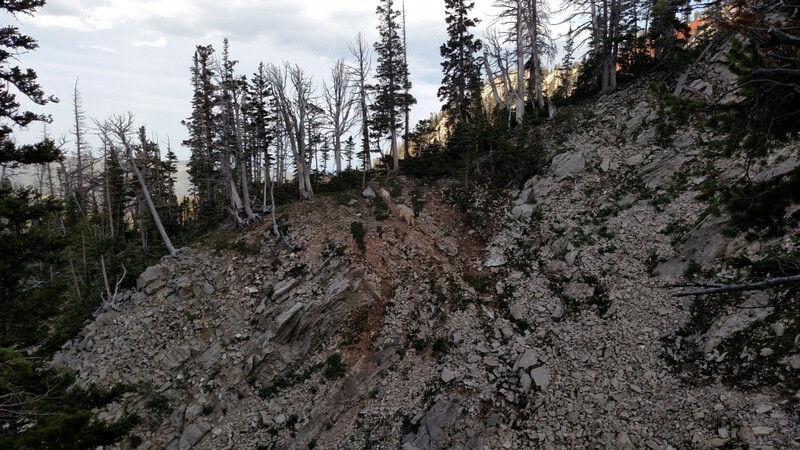 At one point during the scramble a stubborn mountain goat decided to block our path. 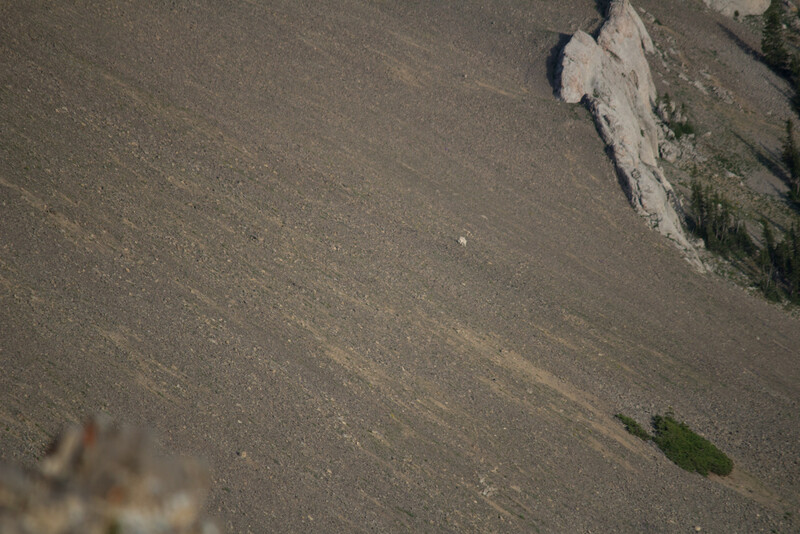 It was the first mountain goat I’d seen up close so I excitedly pulled out my camera and started taking shots as it grazed. Unsure of how a it would react to my presence I cautiously detoured around it, keeping plenty distance (as you always should with wildlife), and watched as it roamed over to some steep rocks which would be impassable by most animals; an easy way for a mountain goat to escape danger. 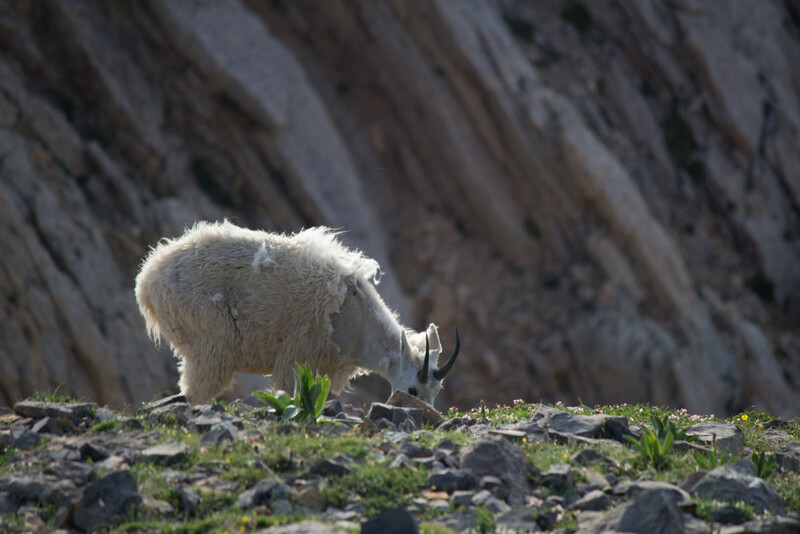 A mountain goat munchin’ on some grass. 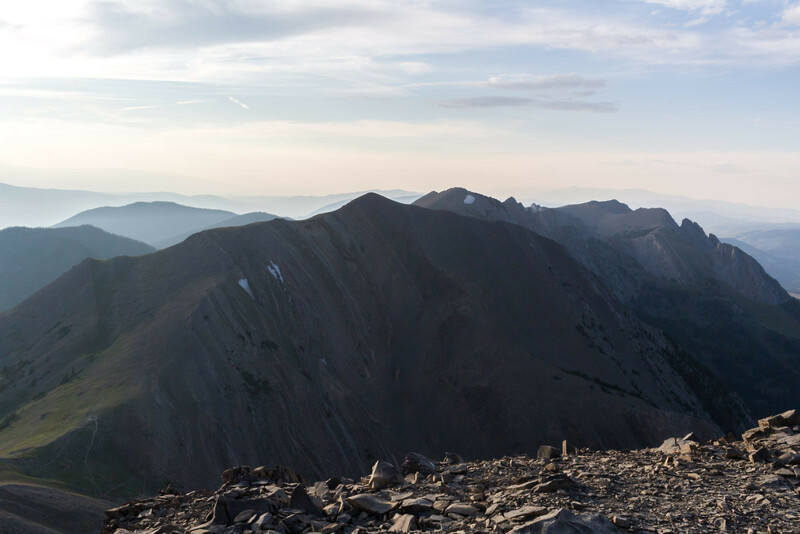 The summit provides some of the most easily-accessible high-elevation views in the entire Bridger Range. 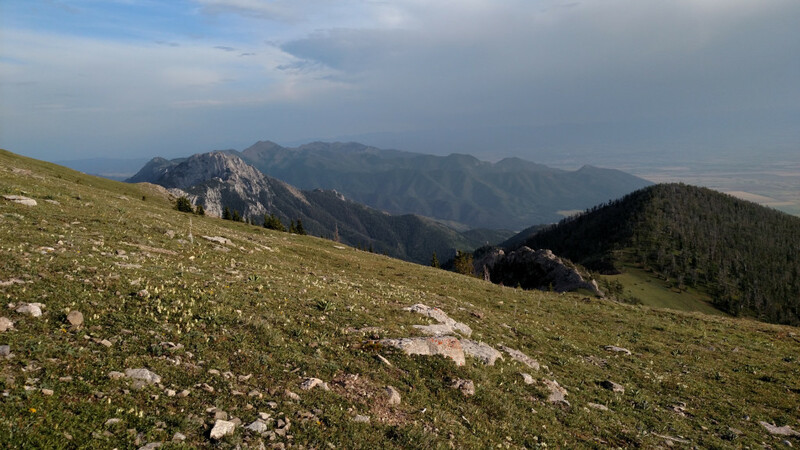 All mountain ranges within a two-hour driving distance from Bozeman are visible and the the south section of the Bridgers can be seen extending all the way to the M. On the side of the summit opposite to the trail is a vertical dropoff and I felt the intense wind could easily blow a person off the edge sending them to certain death. Ryan, Christian, and Arlo at the summit. 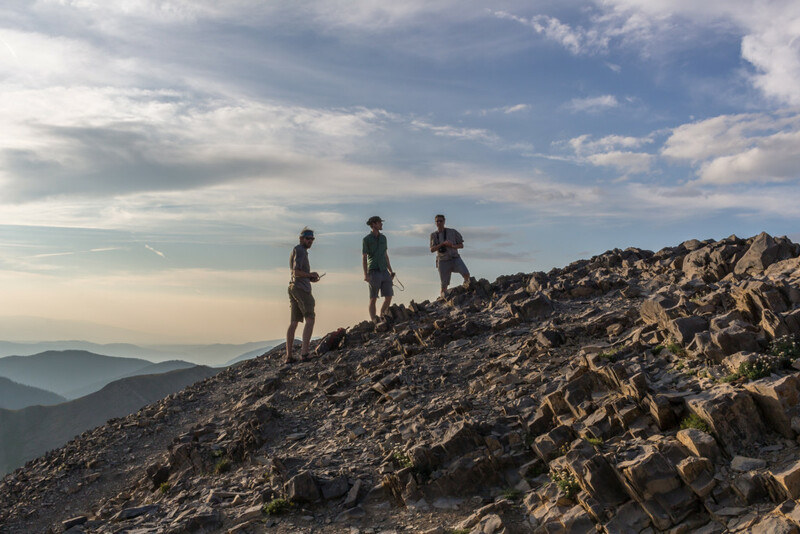 The southern Bridgers as seen from the summit. Naya Nuki, to the left, can also be bagged if you have enough time but beware, it’s much farther than it looks. The northern Bridgers as seen from the summit. 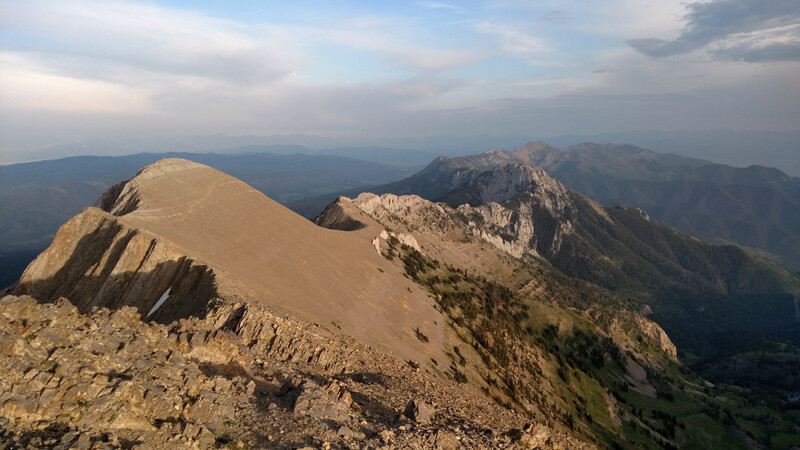 Pomp Peak (center left) and Hardscrabble (center right) can both be accessed by heading north from Sacajawea Pass. Looking towards the pass from the summit. Between the powerful winds, dropping temperatures, and dwindling daylight we couldn’t waste too much time on the summit and after snapping a few pictures we made our way back down to the parking lot. A water pump near the parking lot provides some of the tastiest, most refreshing groundwater I’ve ever had and was a great way to wrap up the day. After many attempts Sacajawea was finally bagged but we’d surely return to embark on many of the other side quests the Fairy Lake area has to offer. Looking up at Sacajawea during the golden hour.